T is for Terrible Poetry. . .
Letter T: Tattoo : "His eyes grew wide and then wider with shock as I told him about my diagnosis, how much time I had left and how I had walked out of the doctor's office with no intention of returning. After I stopped rambling about how this trip was my escape, Galen said nothing but simply stared at me like I was a naked stranger in his bed..."
Terrorism at an all time high? Take refuge in La Yacata! Another day in Amble Bay. It's Monday, so join me at the Tuesday Club! T is for Tess as Illegal Aliens covers television show Roswell. Whoa! Coming into home stretch now! Hope you'll stop by and see if you can "Name That TV Show!" 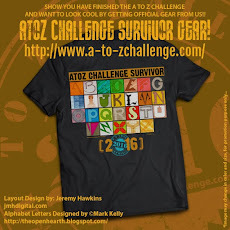 Can't believe its the last week of the A to Z.
Today’s topics: Titanic, Tornados, and Trees. Trust me on this. Take your daughter to work. It's the last week folks - enjoy!!! Today's post is about thoughts. T is for Travel. I'm using Amy Krouse Rosenthal's "Encyclopedia of Me" to journal daily. Read about Hugh, the man who built houses and families in Fact or Fiction- Family Stories. Taiwan Chronicles awaits you! Have a happy 5D/4N visit to Taiwan with MocktailMommy Prasanna! Latest Post: TOMORROW, TOMORROW: What will it bring? The Chief Scientist is impressed by a couple of members of the younger generation. 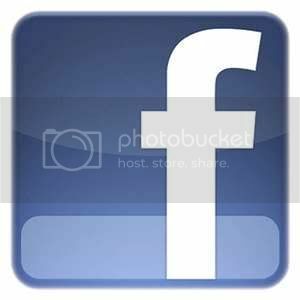 Shailaja, there is little syntax error so the link is not working. Visit T For Tough for a captivating oxymoron in 100 words! 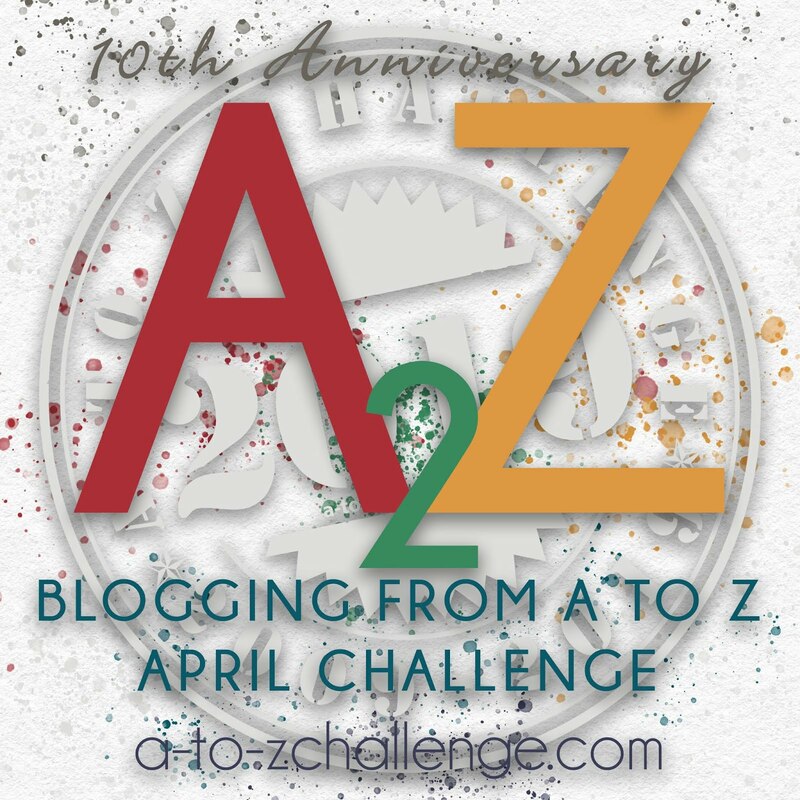 Link: #AtoZChallenge T for Trinkets & Treasures. Got some darker music today for the wonderful letter T.
Today on my A-Z of Favourite Things, T is for travelling - I love it so much! Today on Wolf of Words I run down my Top 11 Favorite Anime Series. How do you catch light? Why, in a light bucket, of course! T is for Telescope, a really nifty tool for scratching that Astronomy itch. 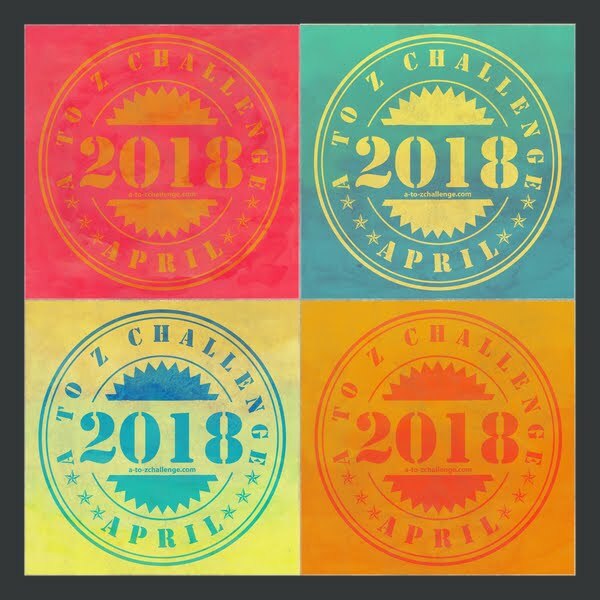 Heading into the last week o A to Z-ing. How are you doing? T is for Tie The final week of my ongoing detective thriller starts here! Can you decode this symbol for me. Jemima on her To Read list! Letter T: Typewriters. Do you miss them? An update on a new project on my blog and Pinterest to finish a stagnant writing project. T is for Teaching in my LEGO themed post of the day! Crystal clear ocean water where families swim. I TRUST myself to deal with whatever rises. T is for Technique and Time in the continuing journey through the creative life. Today had to be Texture for me. Take a peak & give me your thoughts on my observations & final question. As a parent, whom can you trust? T is for Tired in my mental health themed challenge on Milly's Guide. Here is a link to my post for T from my blog Weekends in Maine. Thanks for visiting! T is for Tree + Vine | Costumes to match a child's imagination. A Maine vanity license plate and a poem. T is for Time Turners in my Harry Potter themed post! Human mind is a fascinating thing. It can be our biggest strength, but it can also be our biggest weakness. Our lives and our happiness depend upon what thoughts we choose to hold in our mind. And today's post is about "How To Remain Positive In Negative Situations". Post: T is for “Tommyknockers & Terabithia.” What’s the first book you loved? #HomeWinemaking - Taste and Tasting! 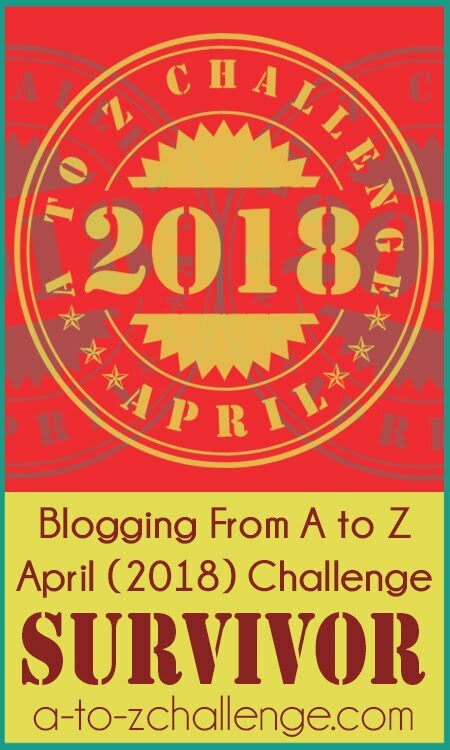 #AtoZChallenge with "T"! Is time terrible or terrific? Do you have the time to enjoy & think? Do you know what reference book name "treasure" is derived from? I admit it. It's possible I might have a teeeeeeeny tiny problem. A to Z Challenge: TV Talk: TV! I'm so excited about getting into a more excited piece of my story now. 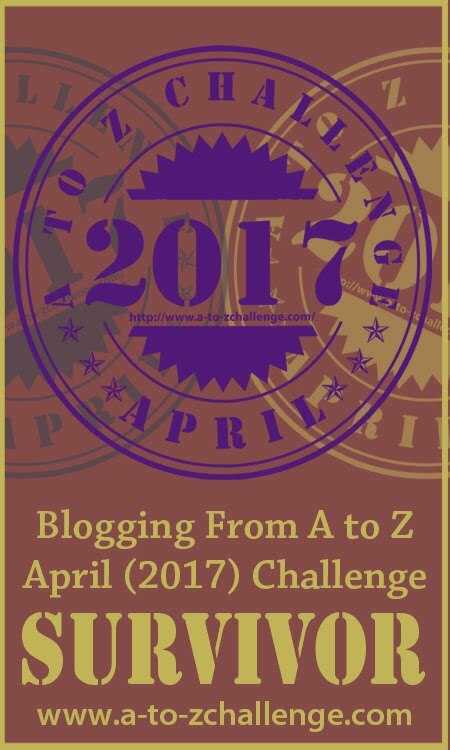 Your link just returns to this page on the a-to-z-challenge blog. My theme is mostly made up holidays. Today's is "Be Like Tigger Day"
Blogging about novels for young adults. Today's topic: T is for Tested. 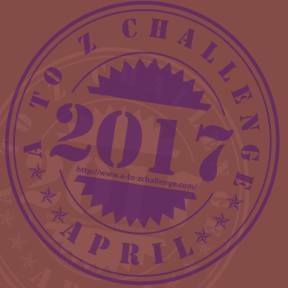 Today's #AtoZChallenge in China: Travel from Beijing to Moscow via the Trans-Siberian Railway. They get a bad rap in the media in certain circles. But if you've ever suffered trauma, they could be a Godsend. Trigger Warnings at Talking It Out. T is for Tape. We have an ... athletic moment. T is for TSFL, an acronym for Take Shape For Life, a weight management program. T is for The Homestretch! !